K.R. Logistics Inc. facilitatesTruck loads and Less-Than-Truckload (LTL) shipping of freight across Canada and the U.S.-Canadian Border. Karen acts as your mediator with over 500 Transport companies and their drivers for efficient expertise in providing point-to-point shipping of your freight within Canada and across the U.S. border for import and export of freight. About K. R. Logistics Inc.
K.R. Logistics Inc. is based near Montreal, Quebec, and proudly serves customers in the United States and all of Canada. K.R. 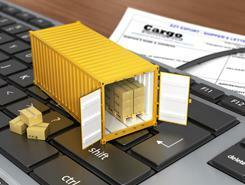 Logistics Inc. is a premier freight broker specializing in truckloads and LTL shipping. Karen arranges freight shipping throughout Canada, from the U.S. to Canada, and from Canada to the U.S.
Karen first started in shipping at UPS and a few other similar businesses in 1979. After developing her skills, she went into business as a freight broker in 2002. Since then, Karen has shared her services and logistical expertise with Canadian customers nationwide as well as the United States. Karen and her team are available 24/7 to schedule a shipment or to solve logistical issues. She oversees a comprehensive level of services by monitoring every shipment from point A to point B, including the completion of vital customs paperwork. With an exceptional finesse for working with a variety of customers, challenges, and interests, Karen is able to create a lasting bond with her customers by going the extra mile. Many customers choose K.R. Logistics Inc. because they know that Karen Reddy's team will get the job done with efficiency and hands-on customer service that beats any other LTL freight company.